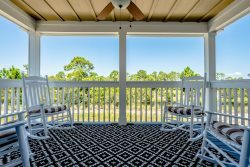 Ocean Breeze West, the affordable condo directly on the gulf, is perfect for those who enjoy small complexes. The building has 47 units with a Gulf front swimming pool and a large sun deck. This condo has 980 SF of living area and Gulf Front balcony access from the Living Room and Master Bedroom. Carpet throughout Living, Dining and Bedrooms with Ceramic Tile in Foyer, Kitchen and Baths. Electronics include 43" LCD TV, DVD in Living Room and 32" TV in Master Bedroom. Fantastic! Loved the condo, beach and pool. Location was centrally located to all our favorite places!